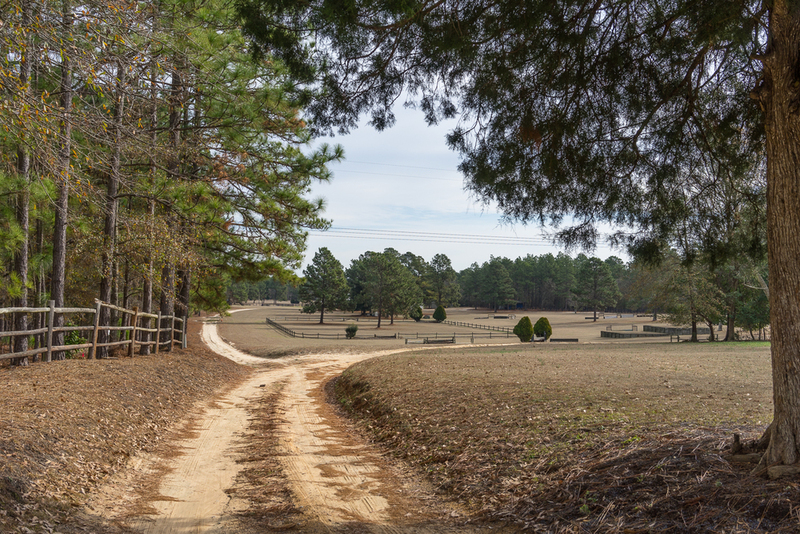 Finally Farm is a 30-stall, state-of-the-art, full-service Hunter/Jumper facility located in scenic Camden, South Carolina. 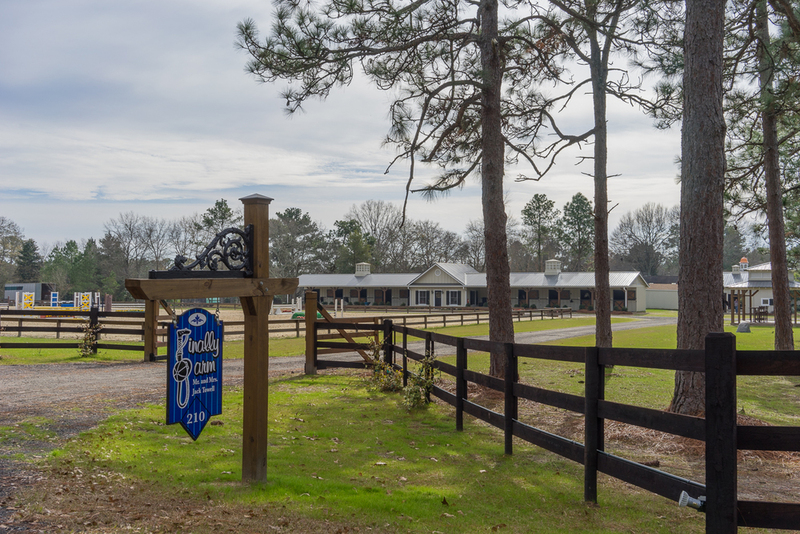 Situated on the edge of hunt country, Finally Farm offers all of the amenities for horse and rider to reach their competitive goals, whether it's local showing or national championship aspirations. 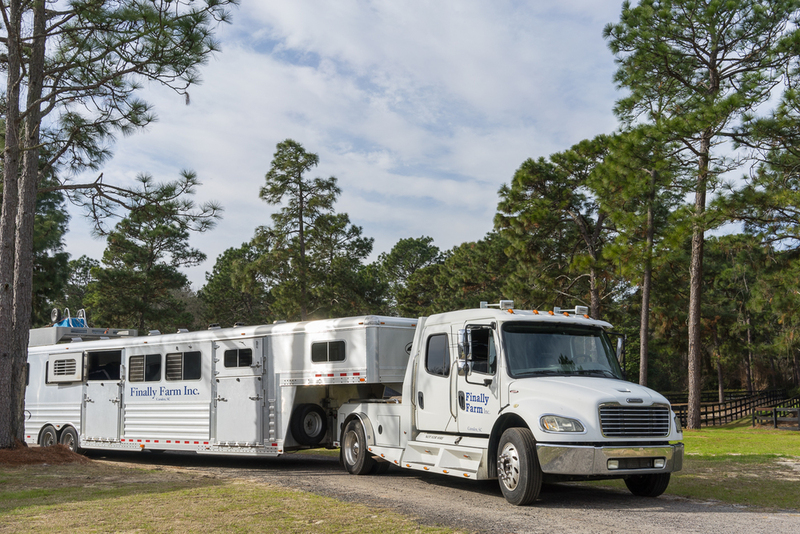 For the horse, Finally Farm provides a variety of stabling options to insure each individual finds his optimal place. 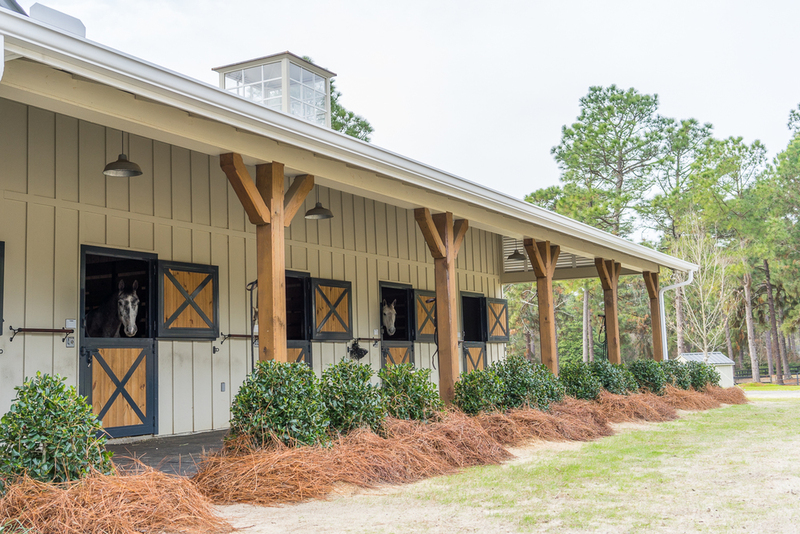 The main, center aisle barn includes tack room, wash and grooming stalls, while a new, 10-stall shed row barn offers an airy, open option. A third, four-stall barn allows for a quiet atmosphere or provides quarantine needs. Turn-out includes multiple grass paddocks in the shade of nearby towering evergreen trees. Training options abound at Finally Farm, including a 200' x 300' outdoor ring with all-weather, European footing and show-ring quality jumps. Grass fields and nearby ride-out includes thousands of acres of country open for trail riding in the Camden Hunt territory. A Horse Gym Treadmill is an important part of the fitness routine and complements turn-out and riding for equine strengthening and conditioning. For the rider, Finally Farm includes a spacious tack room, office with Internet and TV access, a kitchenette for boarders and family members, as well as a gazebo with lights and tables for comfortable viewing. Finally Farm is located in the beautiful Camden Hunt Country. Finally Farm travels to shows throughout the East Coast and beyond.